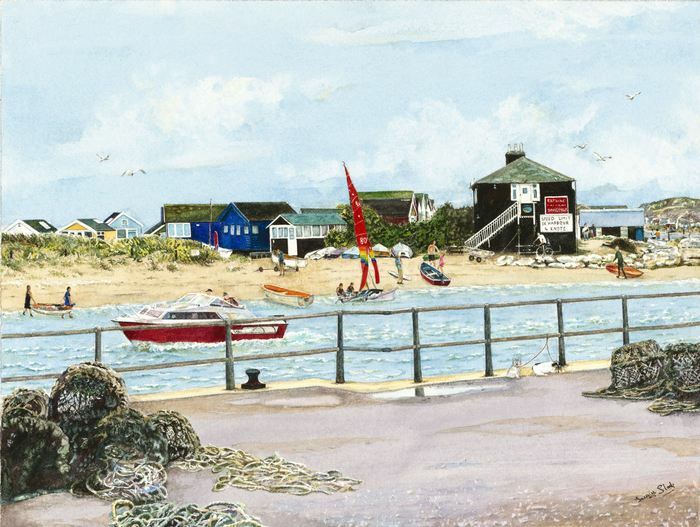 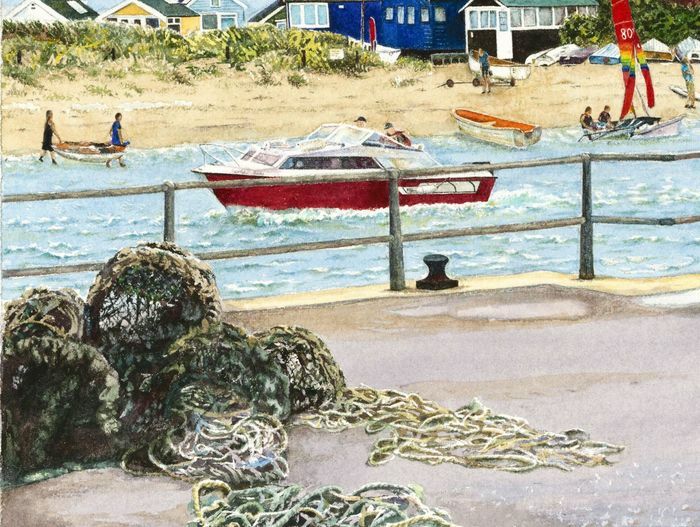 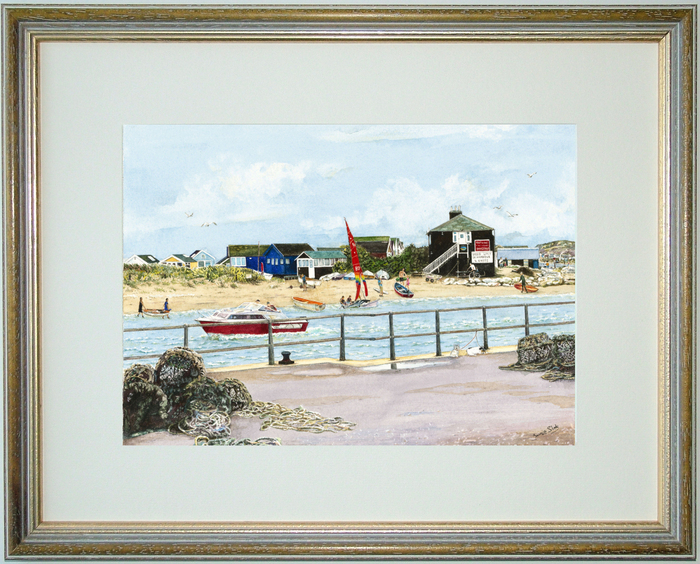 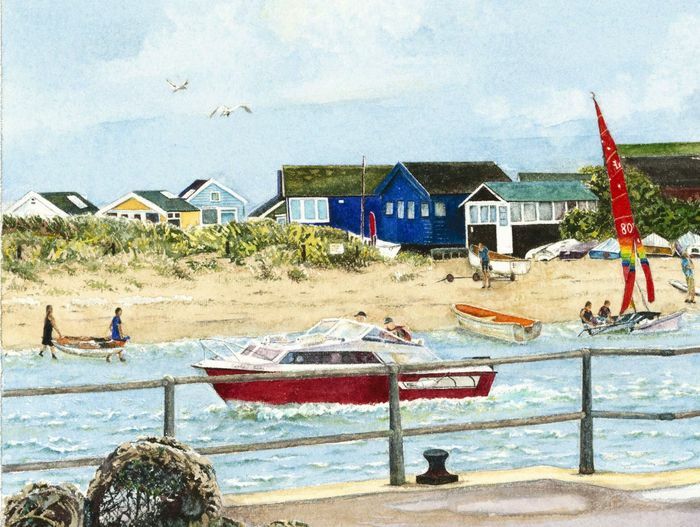 SUBJECT: Mudeford Quay sits on a small peninsular at the mouth of Christchurch harbour in Dorset. 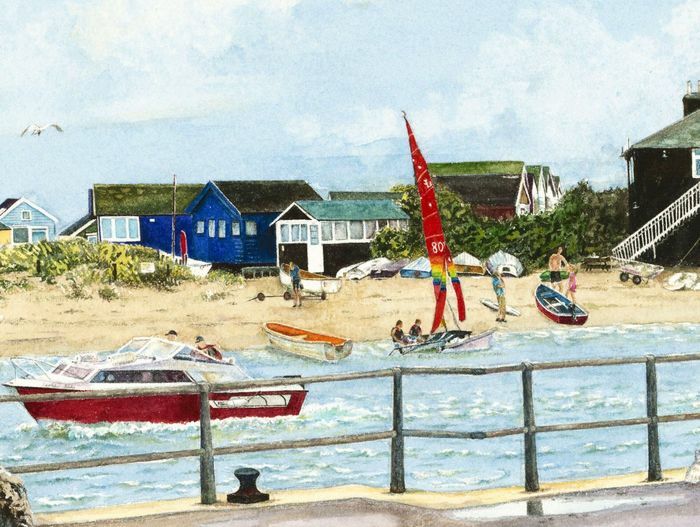 A deep water channel known as The Run separates the quay from Mudeford Sandspit which is famous for its expensive beach huts. 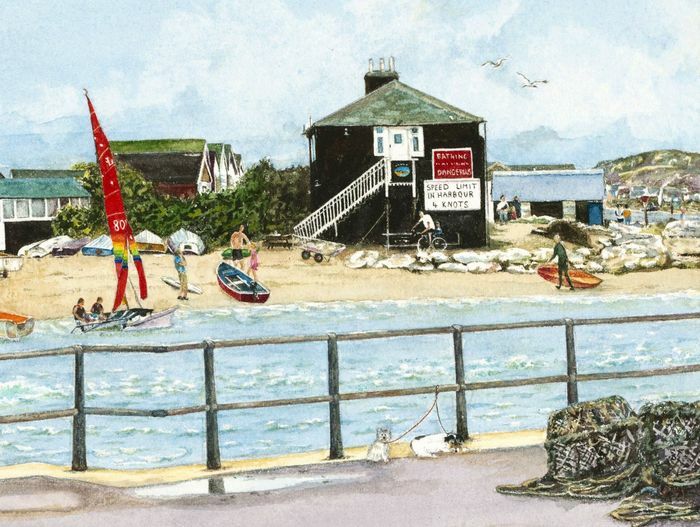 The most prominent landmark on the sandspit is The Black House which used to be a boatbuilders house with links to smuggling, but is now converted into holiday apartments. The walls of the old house were traditionally painted with black pitch to protect it against the wind, rain and salt air.